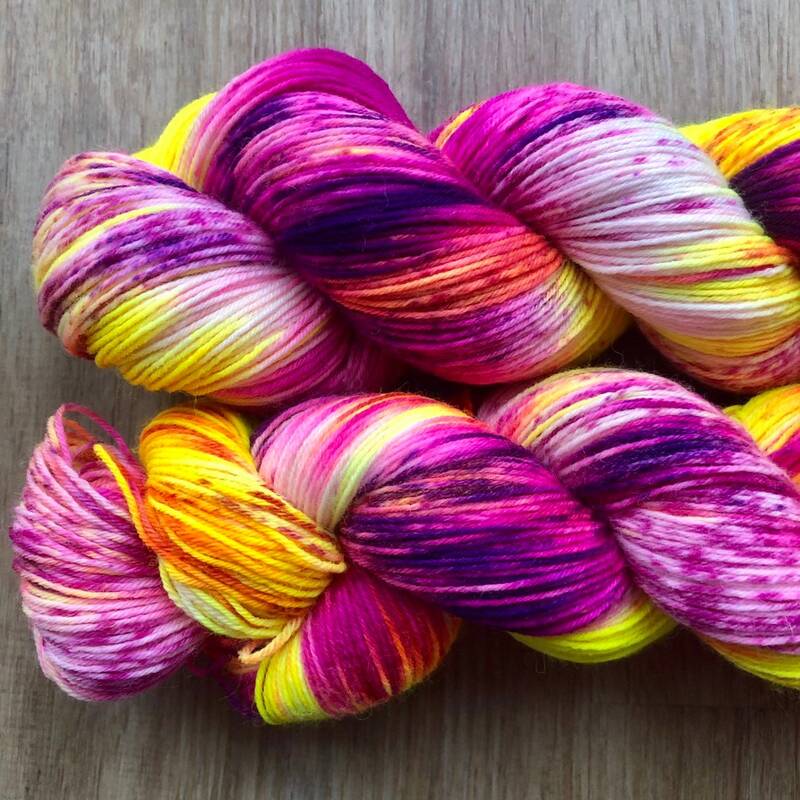 Who says flowers are boring?!? 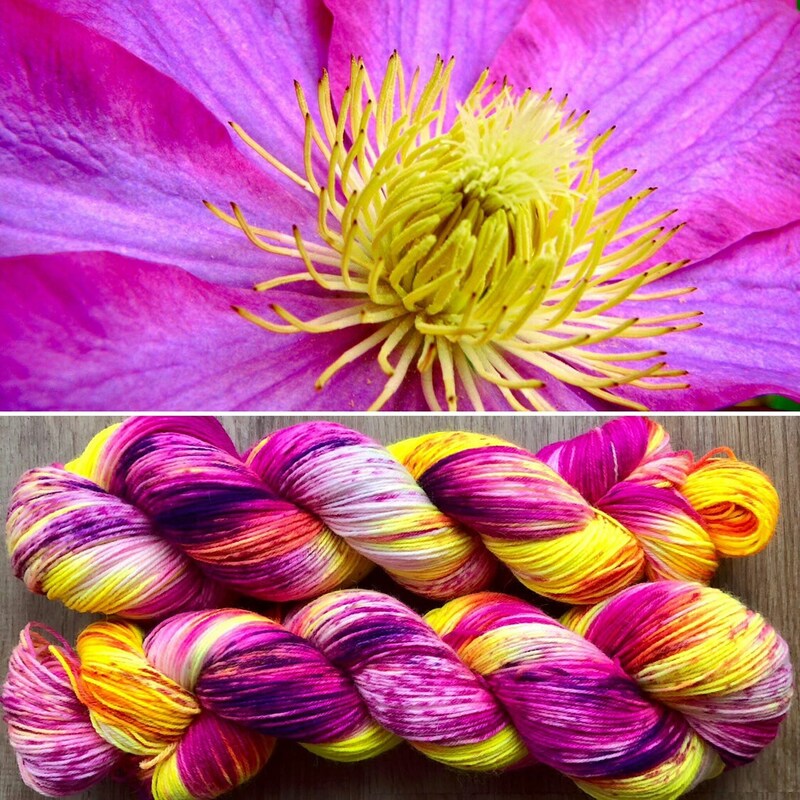 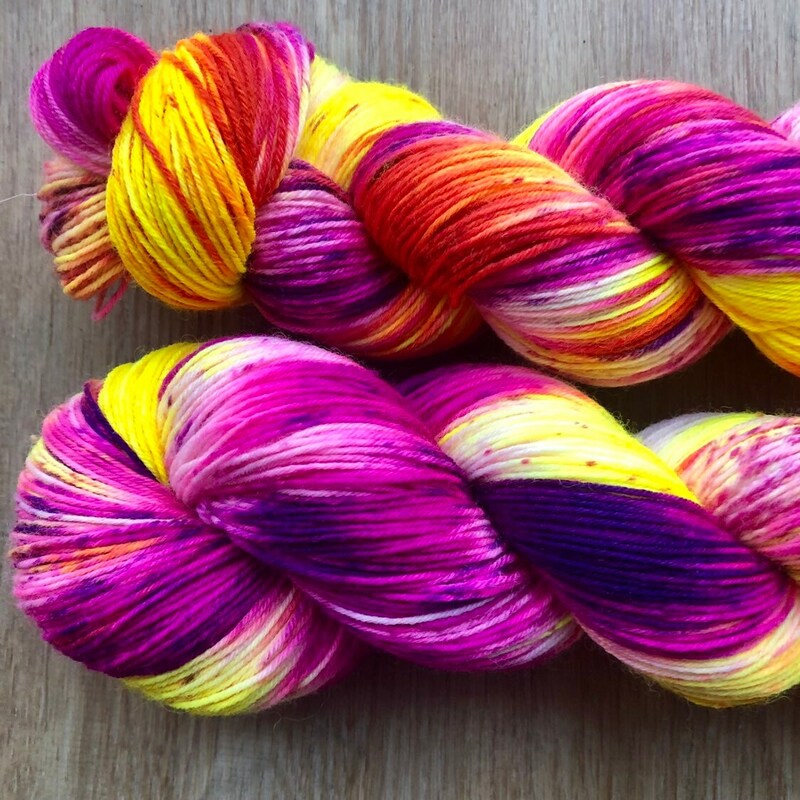 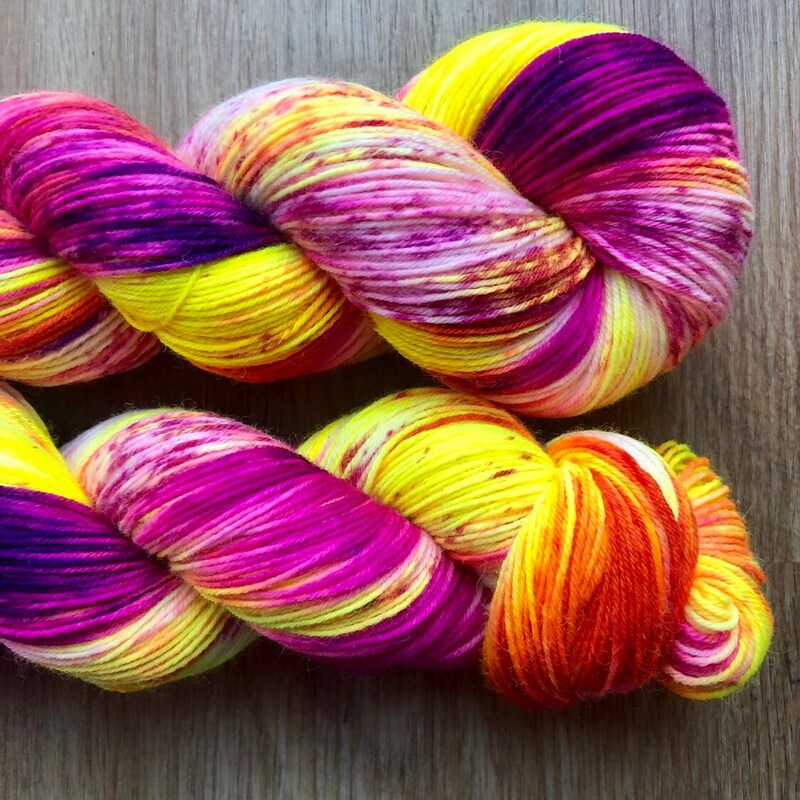 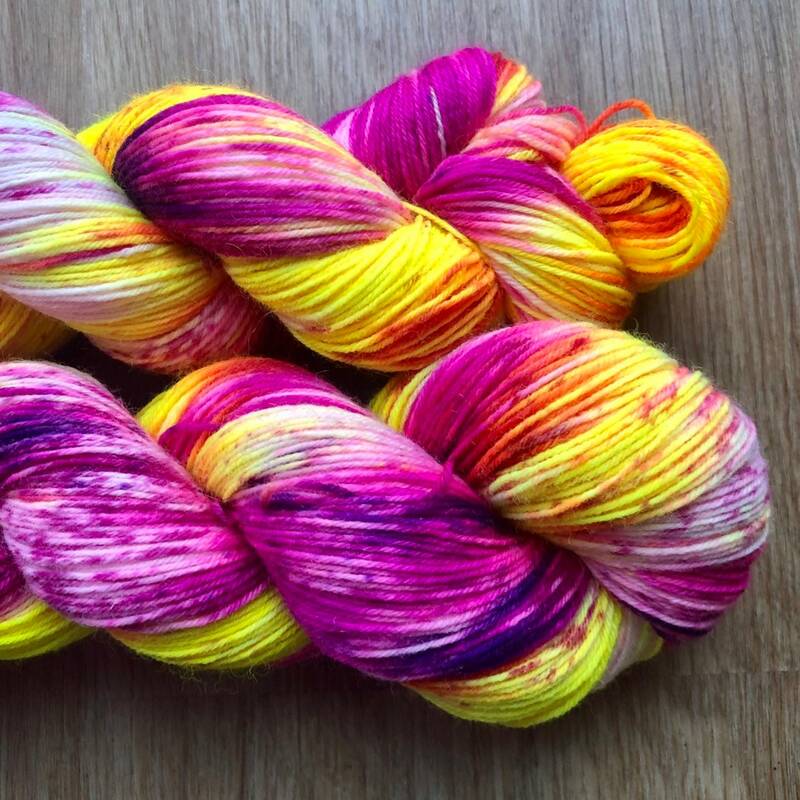 This beautiful, bright floral theme yarn has pretty speckles and the dyes are UV reactive. 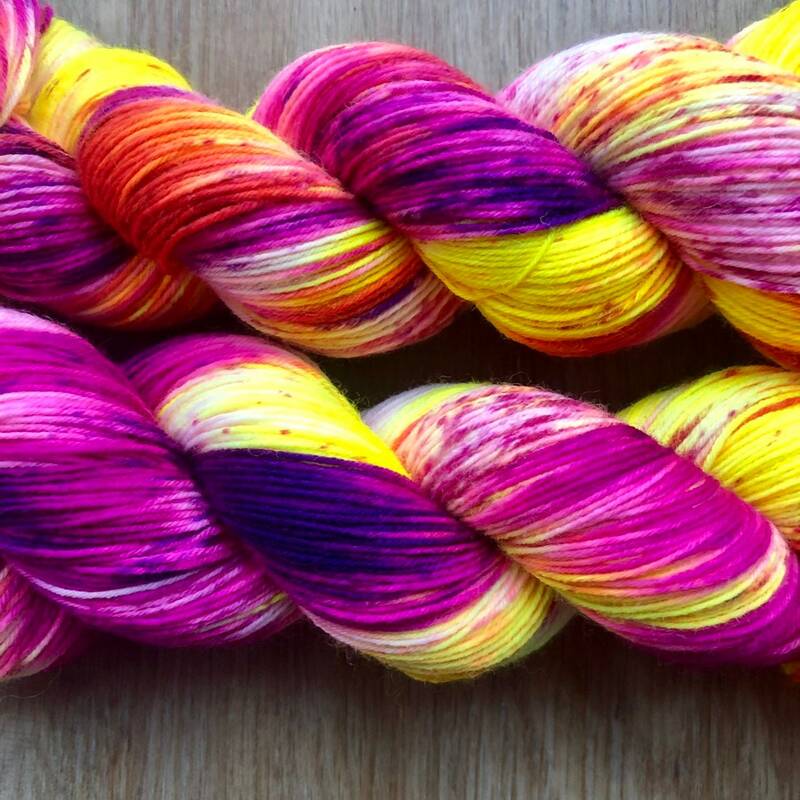 The colours really pop in sunlight and glow under black light. 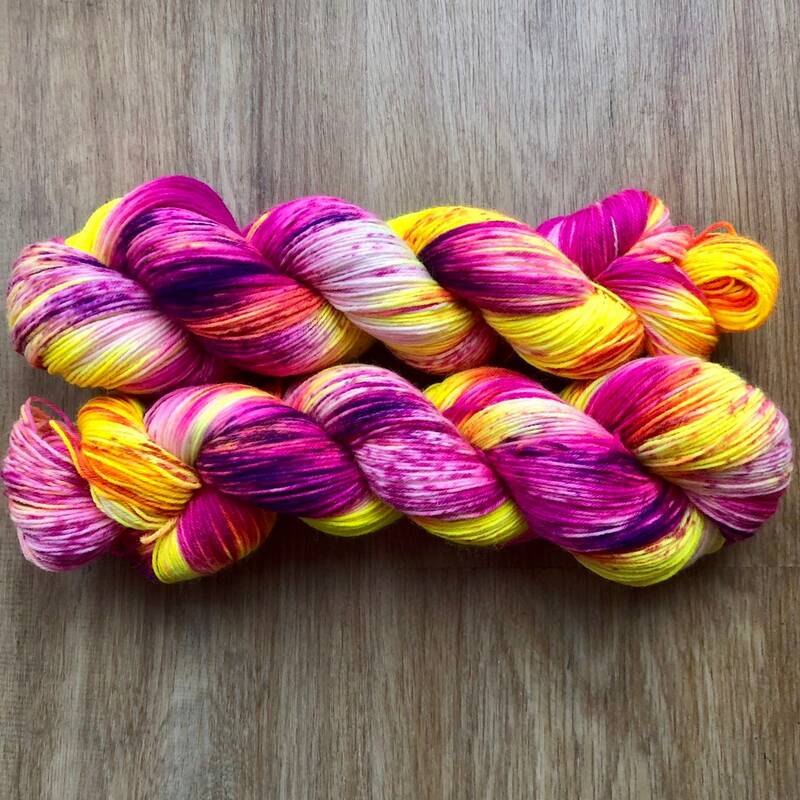 This soft smooth sock yarn is 75% superwash bluefaced leicester for softness and warmth, and 25% nylon for enhanced durability. 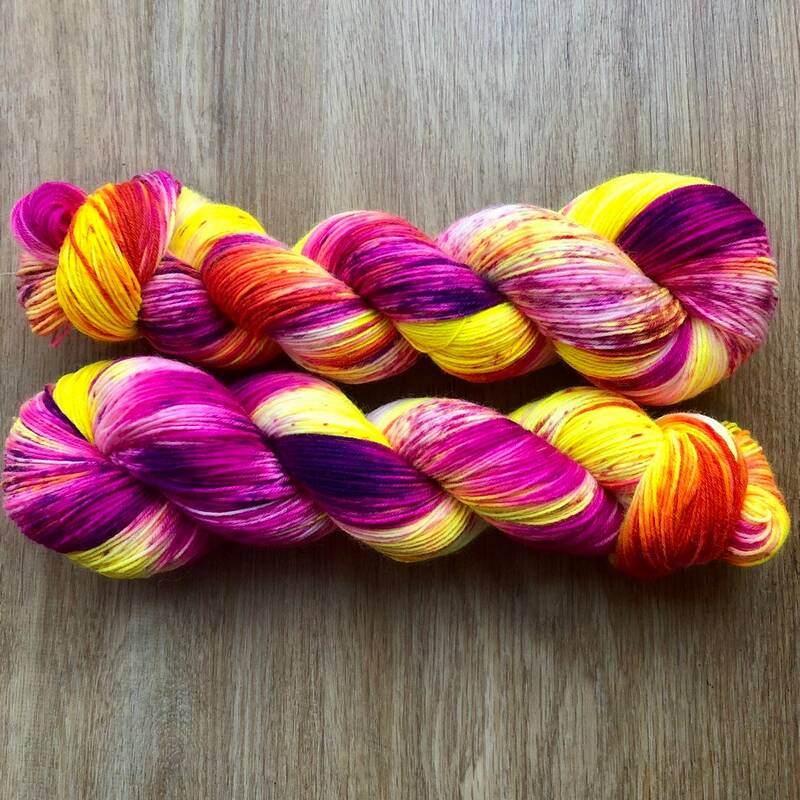 Approximately 420 metres per 100g skein. 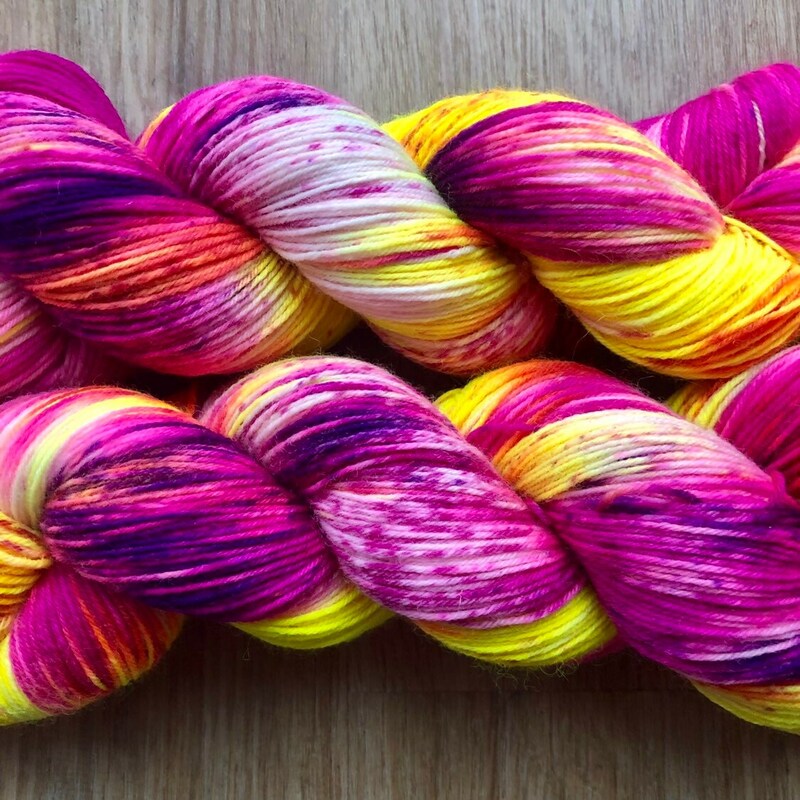 Suitable for 2-3mm needles.